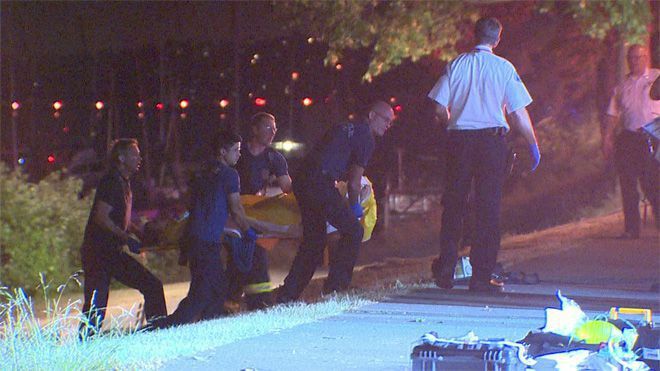 King County officials announced Monday that a 46-year-old Renton man believed to be responsible for a deadly boat crash that occurred on Lake Washington on Wednesday, July 16 was formally charged with one count of homicide by watercraft and one count of assault by watercraft. The suspect, 46-year-old Richard Anthony Hicks, is believed to have been under the influence of alcohol when he was speeding in a motor boat on Lake Washington last Wednesday evening. Hicks allegedly crashed into a sailboat carrying a group of friends at approximately 10:30 p.m., which sent three of the sailboat passengers overboard. Several witnesses interviewed by KOMO News shared their version of the events leading up to this deadly boat collision. “It was just a loud pop, like when a car accident happens,” said Nickolette Hull, one witness of the collision on Lake Washington. A total of seven people were reportedly on board the sailboat at the time it was struck by Hicks’ speed boat. One woman, identified as 33-year-old Melissa Protz, was killed in the crash. Protz was a schoolteacher in the Seattle area, according to KOMO News. The sailboat operator and at least one other passenger, who have not yet been publicly identified, suffered serious injuries in the collision. They were taken to a nearby hospital to be treated for their injuries, and news reports indicate that they both remain in intensive care. As is the case with all types of accidents, the legal options for victims of all boating accidents will largely depend upon any existing liability insurance coverage regarding the at-fault driver of the boat. It has not been made public whether or not Hicks had purchased liability insurance for the boat, and it’s likely that this information will never be made public. News reports indicated that Hicks submitted to a blood draw, which authorities will use to determine whether or not he was under the influence of alcohol or drugs at the time of the collision. Police reportedly claimed that Hicks showed signs of intoxication after the crash, and the results of the blood test will help officers determine if that was indeed the case. Liability for a collision is extremely difficult for a defendant to dispute if it is found that he or she was impaired at the time the collision occurred, and this is especially true for boating accidents. If the blood test shows that Hicks was under the influence, a plaintiff would presumably have a better chance of holding him – and ideally his insurance company as well – accountable for the resulting damages through a personal injury or wrongful death claim.